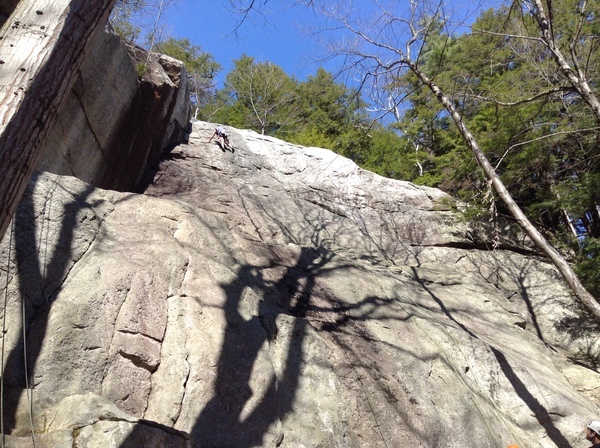 Rock Climbing Western Mass all week!!! We have been children free all week, thanks to some amazing friends! Our children are happy and safe and we are climbing our hearts out. Practicing, reading, eating, resting and climbing! Discussions range from knot tying, how hard we pushed, the next climb and do we have enough water. The valley has proven to be quite the mecca for climbing. Rock faces are large, bold and full of spectacular holds. Chapel Falls in Ashfield is perfect with both epic water fall swimming pools and a gorgeous wall to scurry up. Learning how to hold our bodies and which body positions work best for specific holds and grabs. The adrenaline pumped as did our arm muscles. 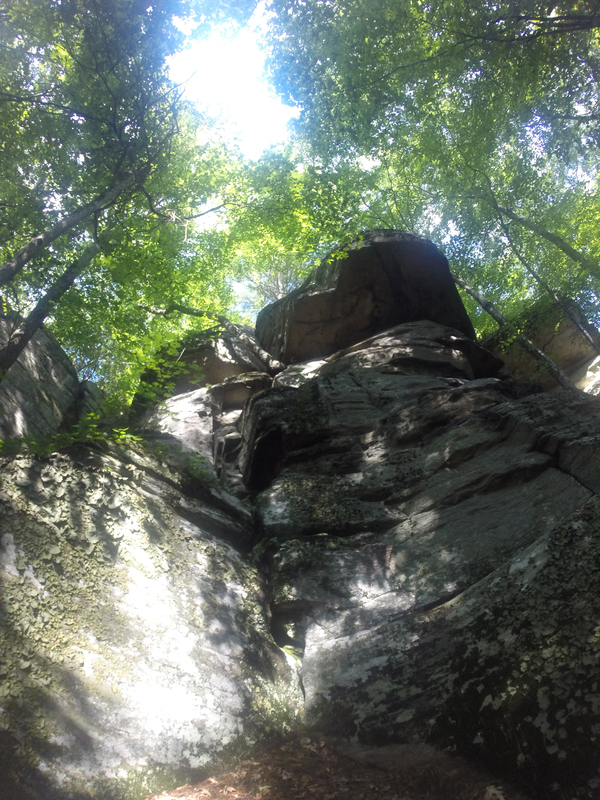 Getting to the top takes strength, yes, it takes perseverance and problem solving…But mostly it takes over coming the fear factor… Because belaying down is almost scarier then the climb up!! Whoo hoo, three cheers to overcoming obstacles. Heading to Rose Ledge in the next couple of days. Thankful for beautiful New England weather and safe climbing. Climb on!!! tip: If you head to Chapel Falls, The Brewmaster’s Tavern in Williamsburg has wifi and great drinks too.